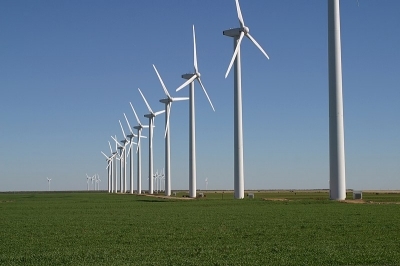 Good news blew in from Michigan late last week: General Motors and Switch signed up as the first customers to buy wind power through Consumers Energy’s new green tariff. The new Cross Winds Energy Park II in Tuscola County will supply enough wind energy to match demand at both General Motor’s Flint Metal Center and Flint Engine Operations, as well as at Switch’s 1.8 million-square-foot data center campus in Grand Rapids . . . As of last September, 17 green tariffs in 13 states have been proposed or approved. Thursday’s announcement was the fourth where a green tariff translated to wind energy procurement. Read more here. This entry was posted in Nebraska / Midwest News and tagged green tariffs, Into the Wind - American Wind Energy Association Blog, Nebraskans for Solar's NewsBlog, OPPD's Green Tariff on March 12, 2018 by Helen Deffenbacher.